Newport Beach, CA (PRWEB) October 28, 2009 — The National Canine Cancer Foundation has awarded RESVANTAGE CANINE their Pink Paw Seal of Approval for a “product that helps to advance the holistic health of our pets and helping fight canine cancer.” This designation is granted only to companies who have met rigorous quality standards and other criteria established by their Scientific Advisory Board. RESVANTAGE CANINE is a nutritional supplement for dogs containing resveratrol blended together with a unique combination of nutrients. Resveratrol has been shown to reduce tumor incidence in animals by affecting one or more stages of cancer development. John Park, Executive V.P. of Corporate Communications for Resvantage, says that “we are both gratified and honored to receive this recognition from the NCCF. Extensive scientific study contributed to the development of this supplement and we appreciate the acknowledgment of our efforts from this wonderful organization. The National Canine Cancer Foundation is a nationwide, contribution funded, 501 (c)(3) non-profit corporation dedicated to eliminating Cancer as a major health issue in dogs by funding grants directly to Cancer researchers who are working to save lives, find cures, better treatments and accurate, cost effective diagnostic methods in dealing with Canine Cancer. The purpose of the Foundation’s Research Grant Program is to encourage and provide grant support for basic, pre-clinical and clinical research in high impact and innovative cancer research, which is intended to develop innovative approaches to a cure, treatment, diagnosis or prevention of cancers in dogs. The program fosters collaboration between basic and clinical scientists with the intent of enhancing the transfer of basic research findings to clinical usefulness. Gary D. Nice, President and CEO of NCCF states, “We are pleased to award RESVANTAGE CANINE our Seal of Approval. Resveratrol has shown efficacy in the prevention and treatment of many different types of cancers and RESVANTAGE CANINE is an excellent way for us to give it to our dogs. It gives us all hope as we continue to work to find a cure. 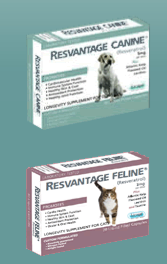 Resvantage Canine & Feline are pet supplements containing resveratrol blended together with other essential nutrients that work synergistically to help pets reach their full potential and diminish the many symptoms of aging. 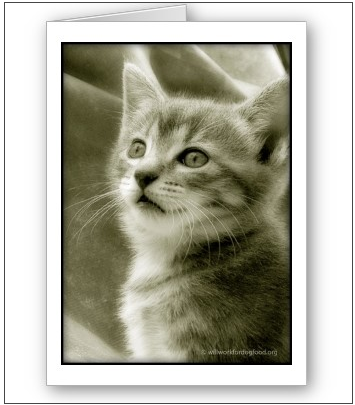 It is available online at www.resvantagecanine.com and at pet stores throughout the US. The Resvantage Canine® products are distributed by Advantage Partners, Inc. and can be reached toll free in the U.S. at 877-676-0990. This is a kudo for a product which is greatly deserved. I am giving it to my 2 dogs and the older is going on eleven and Resvantage Canine has put new life in him. It’s really hard to believe but I have witnessed it with my own eyes. Bucko was really lethargic and the Vet said it was probably due to arthritis and some cognitive decline. Well the Resvantage Canine is an anti-inflammitory which must have helped with the arthritis (I’m told it does) and he has a better attitude and much more energy. My little Norfolk, Lilly is on it too but she is only 3 and I am hoping it will stave off the onset of the age related diseases like I have read it has done with every living thing it has been fed to so she doesn’t have to go through what Bucko did as early as he did also.